Today’s announcement is part of a USDA-wide effort supporting President Obama’s commitment to strengthening local and regional food systems. These grants are administered by USDA’s Agricultural Marketing Service (AMS) and USDA’s National Institute of Food and Agriculture (NIFA). USDA’s Agricultural Marketing Service is awarding $63 million to 755 Specialty Crop Block Grant Program projects nation-wide. The grants are issued to State departments of agriculture for projects that help support specialty crop growers, including locally grown fruits, vegetables, and nursery crops, including floriculture through research and programs to increase demand. Since 2009, AMS has awarded 385 grants totaling $392.9 million for 5,484 projects, including those announced today. For example, an Ohio program was awarded a grant that will increase specialty crop competitiveness by helping Ohio growers with organic production and food safety grant. The Ohio Ecological Food and Farm Association will provide Ohio beginning and existing organic farmers direct technical support and educational programming to help improve organic production and marketing skills. The project will also help transition other growers to certified organic production, and will help farmers of all sizes and levels of experience to establish and implement on-farm food safety plans. USDA’s National Institute of Food and Agriculture (NIFA) is announcing $50 million in grants funded through the Specialty Crop Research Initiative(SCRI), which is made available through the 2014 Farm Bill. This program develops and disseminates science-based tools to address the needs of specific crops across the entire spectrum of specialty crops production, from researching plant genetics to developing new production innovations and developing methods to respond to food safety hazards. Examples of funded projects include a project at the University of California working to sustain the supply of high quality lettuce in the face of changing technology and climate. The University of Florida will research management strategies for Laurel wilt, a lethal disease in avocados. And Michigan State University aims to use applied genomics to increase disease resistance in cucurbit crops. Since 2009, NIFA has funded almost $285 million for 138 research projects including those announced today. Abstracts of projects previously funded are available on NIFA’s website. AMS works to improve global opportunities for U.S. growers and producers. AMS grant funding supports a variety of programs, including organic certification cost-share programs, the Specialty Crop Block Grant Program, the Farmers Market and Local Food Promotion Program, and the Federal-State Marketing Improvement Program. This funding is one of the ways that USDA invests in the future of rural America and the nation’s agricultural sector. NIFA invests in and advances agricultural research, education, and extension and seeks to make transformative discoveries that solve societal challenges. 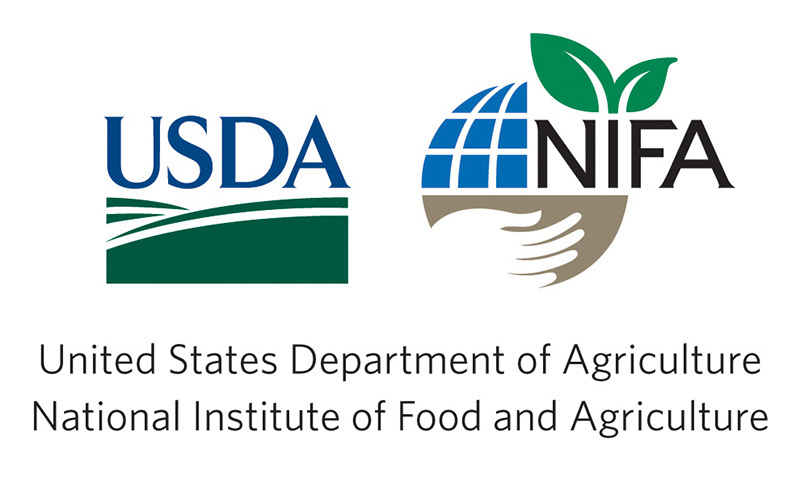 To learn more about NIFA’s impact on agricultural science, visit nifa.usda.gov/impacts or follow us on Twitter @usda_nifa (link is external), using the hashtag #NIFAImpacts (link is external). This entry was posted in Agricultural IPM, Fruit IPM, Vegetable IPM and tagged specialty crops, USDA NIFA. Bookmark the permalink.